What is light and refreshing and perfect for the summer? A smoothie bowl! It’s so easy to prepare…. you make a smoothie, pour it into a bowl and then add your toppings of choice (granola, fresh fruit, dried fruit, nuts or seeds). Miss Liz, founder of Food Jules, prepared this sweet and refreshing SUMMER BERRY SMOOTHIE BOWL LIVE on WTNH last week. The summer berries that she used are a mix of strawberries, blueberries, cherries and raspberries and then she topped the smoothie with home-made granola, dried coconut and fresh berries. Of course you can use any store bought granola too, but Miss Liz loves to make her own NUTTY GRANOLA. There was a special guest on the show too… my daughter, Lilliana. She is my most valuable employee, she’s been helping me with all of our cooking classes and camps over the past few years. I couldn’t do this without her! She is amazing. Hope you enjoy this smoothie bowl over the summer. 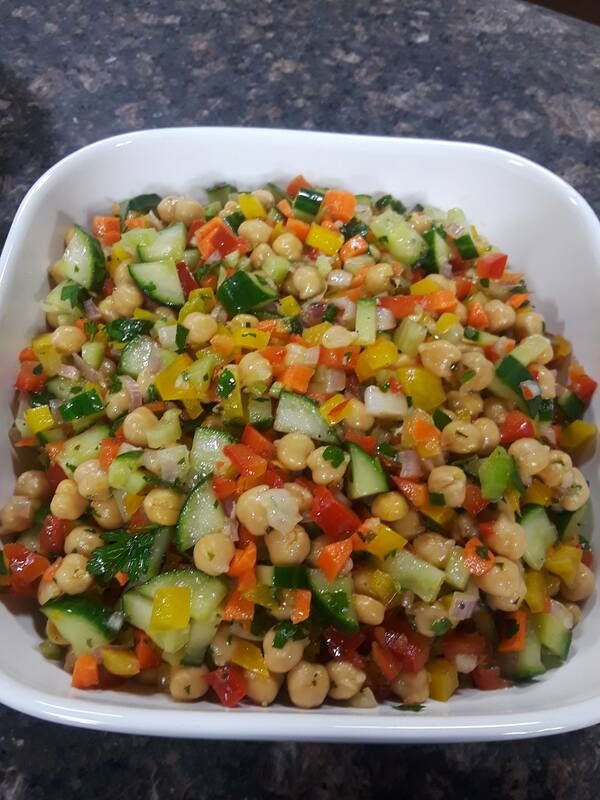 ← The perfect summer salad, featured on WTNH!